Click here to Find Details about the Scholarship. 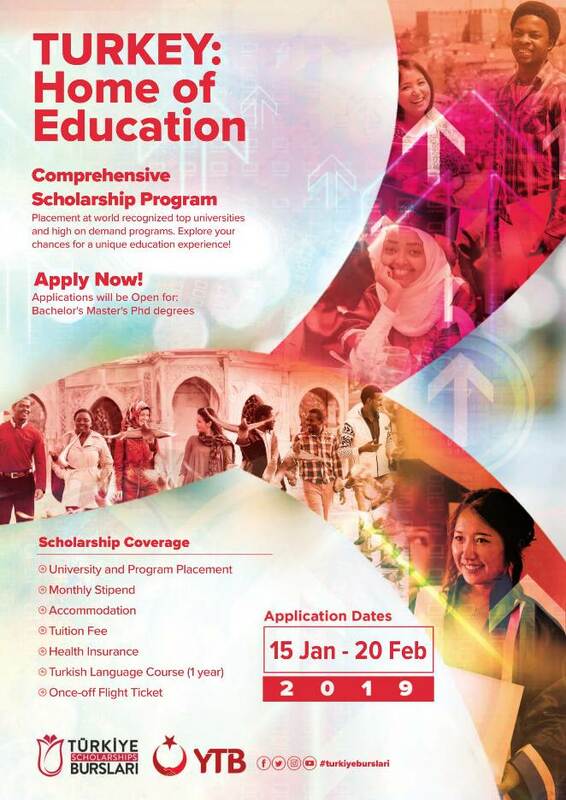 Programs open for application are: Undergraduate and Postgraduate Programs. Candidates applying at Bachelor's, Master's and PhD levels are welcome to apply between the dates 15 January – 20 February 2019. Research applicants can apply through out the year.